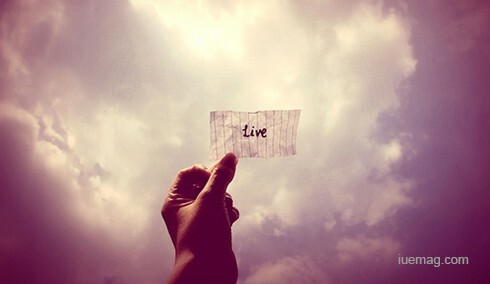 Why do you want to live? “To die” is probably the most unexpected response. Even people who want to go to heaven don’t want to die. In a book entitled ‘A Catalogue of Gods’ there are listed thirty thousand Gods man has ever worshiped from a crawfish to a man. It leaves a tiny space to wonder about the number of people who regard death as the cruelest of all fears. In his 1973 classic ‘Think and Grow Rich’, the author Napoleon Hill states that though the religious leaders may not be able to provide a safe conduct into heaven nor, by lack of such provision, allow one to be so unfortunate to descend into hell, but the fear of the slight possibility of the latter is so powerful that it shatters imagination, paralyses reasoning and sets up a fear of death. Even for young people who try to brush aside the thought of death, deep down know very well that the only certain thing they have in their life is death. On the other hand, removing death out of life would most certainly make life monotonous and painfully dull. If their time is not limited and they could survive till eternity even people who do, would never value time or life and procrastinate for ages. The question was still a huge nebulous matter for me. Is the death inherently meant to be feared or there were better alternatives to the most inescapable reality of life? The answer to the question came in many forms. 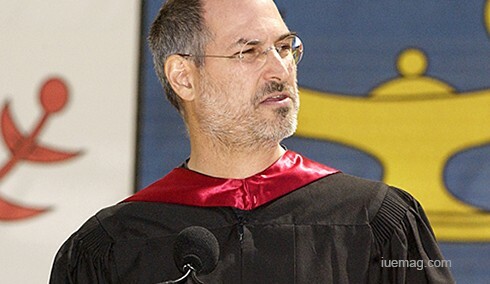 Firstly, it came in the form of the 2005 Commencement speech by founder and former CEO of Apple Inc. at Stanford University I happened to watch in a website. 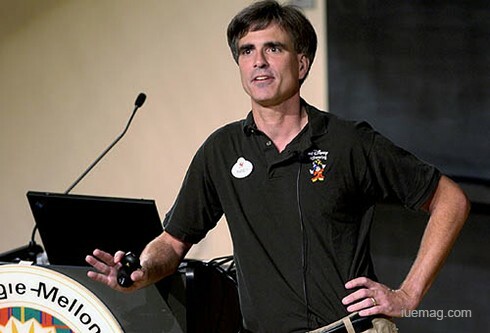 At Stanford, Steve Jobs cited a saying which says "If you live each day as if it was your last, someday you'll most certainly be right." Hence for the past 33 years from the age of 17 he had asked himself looking in the mirror what if it was the last day and whether he do the same thing that he was about to do today. The strategy was simple that if the answer is ‘No’ for too many days in a row then it’s time for a change. The idea seemed impractical to me at first at this stage of life but more often it turned out that even if I am doing the thing I won’t do on my last day I am creating a solid foundation to boldly respond to the question with a magnificent ‘Yes’ someday in the future. Jobs mentions how the realization of death helped him make big choices in life. He further adds “Because almost everything — all external expectations, all pride, all fear of embarrassment or failure - these things just fall away in the face of death, leaving only what is truly important. Remembering that you are going to die is the best way I know to avoid the trap of thinking you have something to lose.” It’s the reality. No one has ever escaped it and no one ever will. He urged people to take actions in the limited frame of time realizing what is meaningful and long lasting. This also means to care less of what other people think and smash their expectations doing what you think is best for you. To lower the selfishness of the above statement I would love to mention an incident quoted by Jeff Olson, founder of Nerium International and author of a masterpiece ‘The Slight Edge’. The incident was about an article the author happened to read in a magazine about funerals. It said that on an average funeral, only ten people cry. It means you go through your entire life, spend years enduring all those trials and tribulations and achievements and joys and heartbreaks—and at the end of it, there are only ten people in the world who care enough to show up and cry! The worse part was yet to come. After those ten people have yanked their hankies and honked their schnozzes and your funeral was over, the prime factor that would determine whether or not they would go to your actual burial afterwards would be the weather. Yes, you heard it right! No matter how much you thought you lived up to the expectations of your so called nearest and dearest ones fifty percent of the people attending your funeral decide not to go to your burial if it happens to be raining. The author was amazed as anyone else would be but it gave a strong message to him that if its damn unsure whether or not they would even cry at his funerals and chances were 50/50 that they would duck out anyway if the sky happens to cry for him more than the people do then why on earth is it worthy to think what other people think of you and what you are doing! Why would then I be concerned about what the majority thinks? Why would I be afraid of rejection? A more important lesson of the article was to inspire to be people who do what others are not willing to do. Gigantic funerals are held and great crowds, even entire nations, mourn for those who spend their lives not worrying about what others thought. Yet we live in a society which promotes mirage of self and instant gratification more than living with the true purpose of life. It encourages to enjoy life with all the quick-fix techniques available only to discover later in life that people could actually live a life full of greatness and genuine meaning if they had the ability to resist the temptation of the modern society. In the words of the bestselling author George Leonard in his book ‘Mastery: The Keys to Success and Long-Term Fulfillment’ – “seduced by the siren song of a consumerist, quick-fix society, we sometimes choose a course of action that brings only the illusion of accomplishment and the shadow of satisfaction.” In addition to its shallow definition of enjoyment in life, the modern day society never allows us to live in the present. Leonard explained this splendidly. Early in life, we are urged to study hard, so that we’ll get good grades. We are told to get good grades so that we’ll graduate from high school and get into college. We are told to graduate from college and get into a university so that we’ll get a good job. We are told to get a good job so that we can buy a house and a car. Again and again we are told to do one thing only so that we can get something else. We are taught in countless ways to value the product, the prize, the climactic moment. On the contrary Leonard adds that the real juice of life, whether it be sweet or bitter, is to be found not nearly so much in the products of our efforts as in the process of living itself, in how it feels to be alive. On conclusion, from our knowledge of science since life is an energy it can neither be created nor be destroyed; it’s a mere transition which should not be feared of at all. As Steve Jobs said “Death is very likely the single best invention of life”; remembering that you would be dead one day be it a minute or a five decades later is the best way to add meaning to the life. With roughly 360,000 births and 150,000 deaths each day, how would you expect the earth to remember you if you are not willing to be something different. The issues are deeper but as a simple self-reflection exercise one should always have the courage to question himself whether his daily actions justify the gift of the magnificent 24 hours he received not being among the dead 150,000 who might have been more worthy to be chosen by the Almighty to serve the planet. Anish Dhakal is a contributing writer at Inspiration Unlimited eMagazine.